Mark Sieverkropp is a good friend of mine. We’ve been interacting on Twitter and social media. We’ve had a blast getting to know each other. One of the things I really like about Mark is his ability for networking and follow up with people, and being proactive about his follow up strategies. I think a lot of people miss the mark in their networking or when they are meeting other people because they don’t do appropriate follow up. Mark is going to talk to us through some good ways that we can put networking and follow up into our procedures and make sure we are building on those connections we’ve made either through social media, the people we meet at networking events, or out and about. It’s a great interview, enjoy! Mark Sieverkropp is a Podcaster, blogger, author, entrepreneur, connector, leader, consultant and speaker. 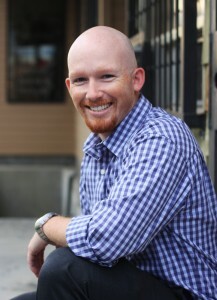 He is the author of Project: Success, which climbed to #3 in the Self-Help category in the Amazon Kindle Store. 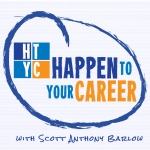 He is also co-host of the Happen To Your Career Podcast, which was a New & Noteworthy Podcast in the Career section of iTunes. 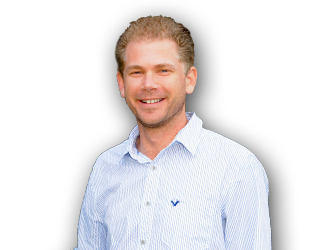 Mark is passionate about connecting with others, finding ways to add value to them and helping other people do the same. It was a blast today talking with Mark. He’s a super cool guy and he is someone that I feel I share a lot in common with. He’s out there doing cool good things, he’s excited about helping people find their careers and doing things that they love. He’s just doing good work networking with people and getting people involved with different projects. I really like the concept of his book, Project: Success, where we’re taking on projects that lead us down this path of success. I totally agree with and foresee the future being that way as well for a lot of us, especially for those you listening to the podcast today. One of the things that Mark brought up that I wanted to touch on is his ability to follow up and the importance of following up with people. I think a lot of people who do networking and use social media don’t properly use follow up to achieve goals that they are trying to accomplish. Networking and follow up go together and they don’t follow up in the appropriate manner. One of the cool things, Mark and I had a conversation via Skype. We chatted for about half an hour, just a get to know you — like having coffee, but it was over Skype because we live in different parts of the country. We were networking and follow up: Mark, he got my work mailing address from my website and sent me a nice little thank you card. That touch added familiarity between him and myself. When I started my business I did that with every single person that I encountered through the business. I sent them thank you cards and as my business grew and I reached out to more people it’s become more and more difficult to send cards to everyone I interact with. To be honest, sometimes I’ve neglected that. But, I think that’s a really cool way to follow up and connect with people; send a handwritten thank you card that talks a little bit about the conversation, says thanks for whatever it is that you should be thankful for, and that’s a nice little touch. There’s also other things you can do for successful networking and follow up that make sense. One of the things is setting up a procedure for networking and follow up and Mark talked about that. If you don’t have one, if you don’t have a way to follow up with people regularly and consistently. It’s something that you really need to do. When I first started my business it was very easy to follow up with people because I didn’t have that large of a network. I didn’t have to reach out to that many people. Now, as my business has grown, I have found more and more that I’m neglecting that responsibility of following up with people that I meet in different scenarios. I know that it is hurting my business. If I were to set up these systems in place, like Mark mentioned that Boomerang App that allows you to send follow up emails at a later date — that sounds like a great tool to use. Or just setting up reminders, some way for you to set up reminders to yourself, that you need to contact these people, that’s also a great idea. Now, go out there and find your success. Visit HappenToYourCareer.com. His blog is Sieverkropp.com. One of the greatest places to get a hold of Mark is on Twitter @Skropp2. He loves interacting and connecting with people. You can also email him at Mark@Sieverkropp.com. By day Mark is a commercial underwriter, not very exciting, but the stuff he is really excited about is his career coaching. 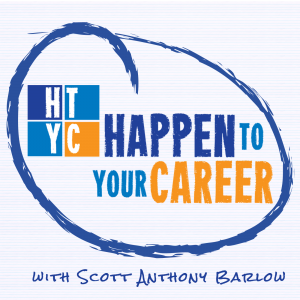 Through a friend of a friend he met Scott Barlow the co-founder of Happen To Your Career. He says, we met for lunch one day talked about the things he was doing and one thing led to another… we started Happen to your career, we started our podcast, started all the things we’re doing now. At Happen To Your Career our goal is to take people from where they are at and move them to work that they love. He says, something like 70 – 90% of people don’t like the job they are in, that’s a really sad statistic. We believe you can like what you are doing. That’s something people are starting to realize more and more with the way our society is. That’s what we’re focusing on doing and focusing on the encouragement and building a community of people that can help each other and encourage each other to move to that goal. Project: Success came about from an IndieGoGo campaign Mark started with Scott Barlow. One of the perks offered was a book by Scott. Mark mentioned that he had always wanted to write a book and Scott suggested he make it one of the perks. So he did, they basically pre-sold the book, once people donated to the campaign and chose that perk he had to write it. The ‘Secret Sauce’ to starting a conversation (on the blog, written by Nico Johannson). The most important thing you can do when talking to somebody is to listen. The secret sauce isn’t that secret at all. Mark challenges all our listeners for one day to pay attention to the conversations you have and see how many times you are interrupted when you are talking. It’s so hard to get out of the habit, and Mark admits he does it too. Many people don’t realize that they do it. Mark says, you have to take the initiative to make sure that your name stays in front of that person and once you do that for a while you’ve built that relationship. It really does take quite a bit of effort when you first start out. 1. Build the follow up in the initial conversation, say something like, I’ll email you later this week, or let’s stay in touch. It let’s them know your intention and it holds you accountable. It makes it easier, keeps the mental roadblocks out of the way. 2. There’s a tool called Boomerang that can help you follow up when you say you will follow up. It delays your sending of the email. If you wanted to make sure you followed up with someone on Monday, but think you might forget you can write the email now and schedule when it sends. 3. Have a process in place to do it. Have 5-10 minutes every single day that you do your follow-ups, or a certain time every week, whatever works for you. Make a plan to follow up. Because he enjoyed being on the Defining Success Podcast so much, Mark Sieverkropp is offering his book, “Start a Conversation with Anyone, Anywhere: 6 Techniques to Become a Better Conversationalist,” for free. This entry was posted in Episode 093: Networking and Follow Up | Mark Sieverkropp Co-Host of Happen To Your Career Podcast and Author of Project: Success on August 7, 2014 by Admin.